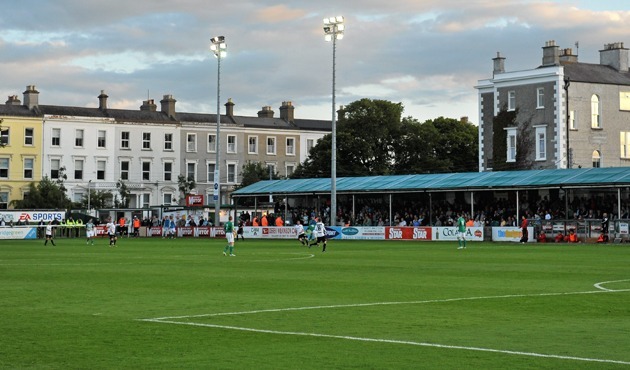 The Carlisle Grounds will host games involving Spain and Germany as part of the UEFA Under-17 European Championship this summer. The home of Bray Wanderers was selected as one of six League of Ireland venues in which matches part of the competition will be played; the others being the City Calling Stadium, Regional Sports Centre, Tolka Park, UCD Bowl, and Tallaght Stadium. Meanwhile, Home Farm’s Whitehall Stadium will be the only non-LOI ground to hold matches. It has now been revealed that the Carlisle Grounds will host a total of four matches as part of the tournament, including a quarter-final. Speaking to WicklowNews, club chairman Niall O’Driscoll confirmed that Ireland’s Group A rivals Greece and the Czech Republic would face-off in the first match held in the Carlisle, as well as Group D games pitting Austria against Spain and Germany respectively. The final tie that will run in Bray will be a quarter-final clash between sides advancing out of Group A and Group B, which features England. However, O’Driscoll said that, should Ireland qualify from Group A, it may transpire that the subsequent quarter-final takes place in Tallaght Stadium instead due to the higher capacity, with Bray getting the other. O’Driscoll also told WicklowNews that he would be writing to every local football club in County Wicklow this week, to invite them to “adopt” the Spanish, Austrian, German, Czech, and Greek teams. They will be asked to wear each team’s colours in some capacity, with each child representative of the local clubs receiving free-entry to each game. Final details relating to kick-off times for the UEFA Under-17 European Championship — which runs from the 3rd to the 19th of May — will be confirmed later this week. FIFA U-17 World Cup play-off: The two losing quarter-finalists with the best records will take part in this game. The criteria are a) group position, b) group points, c) group goal difference, d) group goals scored, e) quarter-final result, f) overall disciplinary ranking, g) coefficient (as per qualifying round draw), h) drawing of lots.